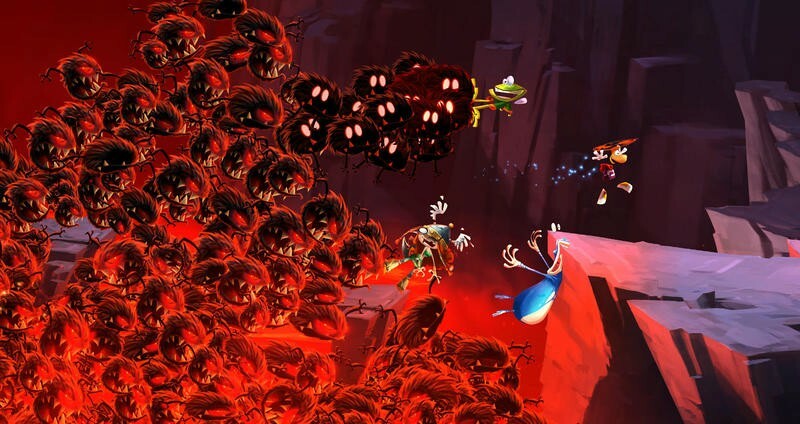 Yesterday, Ubisoft announced that Rayman Legends was no longer going to be a Wii U exclusive. The game was delayed a bit from its original launch date and scheduled to ship on February 26th, 2013. It was delayed until September as part of the aforementioned multiplatform announcement. "There are no issues with the game development. All of the information was in the press release, the only reason for the delay is to release on multiple platforms…"
And that's what has Wii U owners frustrated. Rayman Legends is almost ready to ship for the Wii U right now. Ubisoft could put it through final tests and have it out the door and on store shelves on the previously scheduled February 26th launch date. Instead, the publisher has decided to remove the Wii U's exclusivity entirely and push the game back into September. Into a month with another game you might have heard of, Grand Theft Auto V.
Here we have a game that would breathe some much needed life into the Wii U during a relatively soft month of game releases, and Ubisoft decided that Rayman Legends would look better on all platforms during a holiday with a new Grand Theft Auto and brand new consoles. Because that makes sense. Personally, I think Ubisoft was afraid of launching the game on the Wii U first and having customer perception shift to consider the Xbox 360 and PlayStation 3 versions straight ports. They're still going to be ports, mind you. This game was developed for the Wii U and the Wii U's GamePad. However, launching all three versions on the same day will remove the port characteristics and allow the game to sell to larger userbases. You'd have to be crazy to think Nintendo's heads aren't frustrated by Ubisoft's decision to remove even timed console exclusivity from the Wii U with Rayman Legends. As minor of a game as it was, a lot of consumers claim it was one of the key reasons they purchased a Wii U. Now? It's a small multiplatform cadence set to launch amongst the biggest games of the year. Call of Duty, Assassin's Creed, Grand Theft Auto V, the next PlayStation, the next Xbox and Rayman Legends. How much headline space does Ubisoft really expect for this 2D platformer out of that mix?